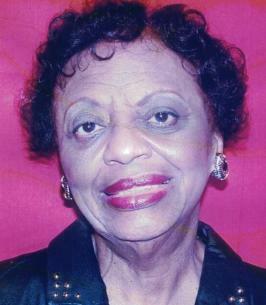 Mercedes V. (nee Marshall), age 93 of Cherry Hill on October 18, 2018. Beloved wife of the late Jacob A. Nix. Devoted mother of Cassandra D. Nix of Maple Shade. Loving grandmother of Joshua Nix of Lindenwold. Relatives and friends are invited to attend her viewing Wednesday 10-11 am at Murray-Paradee Funeral Home, 601 W. Rte. 70 Cherry Hill followed by funeral services 11:00 am. Interment Lakeview Memorial Park, Cinnaminson. To send flowers to the family of Mercedes V. Nix, please visit our Heartfelt Sympathies Store. We encourage you to share any memorable photos or stories about Mercedes. All tributes placed on and purchased through this memorial website will remain on in perpetuity for future generations. I remember Mercedes fondly when I was a teacher at Cherry Hill West. She was always sweet, kind, and positive. She made working a pleasure. God rest her soul and keep her in his loving arms. My condolences to her family.